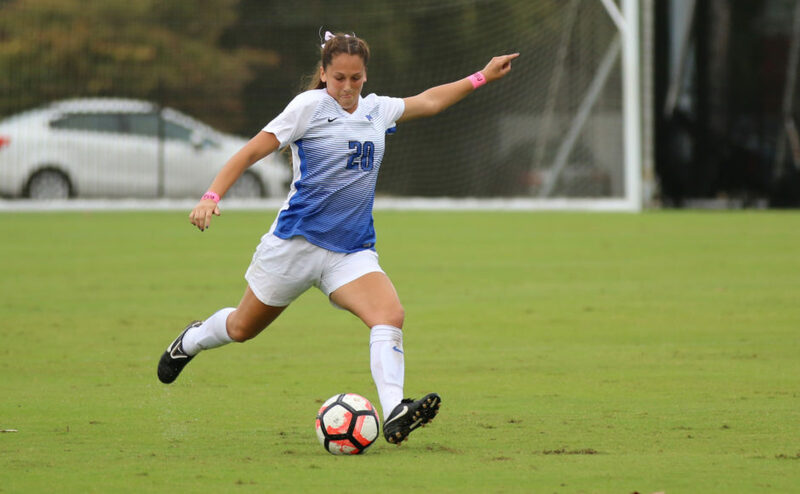 Middle Tennessee (3-6-1) tried to snap a three-game losing streak against UTSA Sunday afternoon, but early scoring from the Roadrunners (5-4-1) would prove insurmountable. The first half started with some promising offensive drives for the Blue Raiders. The early offensive charge was led by sophomore midfielder Angie Lai and freshman forward Peyton McCollum. Lai got multiple shots early and often, but a common theme continued with one shot clanging off the top of the crossbar. This was a change of pace for the Blue Raiders, with junior forwards Grace Summers and Tori Hawkins typically being the main scoring threats for Middle Tennessee. However, in the last two games, the Blue Raiders have relied primarily on Lai and McCollum as the main outlets for offense. Early in the game, it proved to be what the defense did, that was ultimately more important than what the offense did not do. The Blue Raider defense was, often, moved up close to midfield or beyond in this game, an aggressive move that intended to stabilize MT’s offensive ball movement. 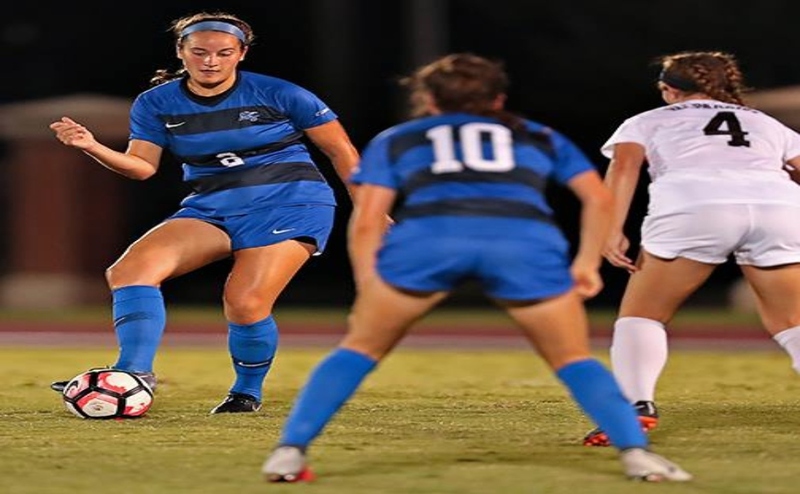 However, it did not pay dividends for the Blue Raiders, especially after numerous turnovers forced the defense to run back and recover for the speedy Texas-San Antonio counterattack. This proved to happen multiple times in the first half, with the Roadrunners’ offense sending passes over the Middle Tennessee defense, allowing for plenty of breakaways and one-on-one disadvantages. This ultimately led to a 2-0 lead for UTSA in the first half. To credit the defense, there were plays made by senior defender Emily Hartshorn, who provided tough defense all game. Junior goalkeeper Kelsey Brouwer made multiple key saves as well, given the numerous offensive opportunities that Texas-San Antonio had. As expected in a 2-0 deficit, head coach Aston Rhoden looked to the Blue Raider bench. Rhoden brought in junior midfielder Amalie Amerdal and sophomore forward Courteney Gibson for McCollum and freshman midfielder Cameron Cox. Both moves seemed to add life to the team late in the first half. Gibson provided a good burst of energy, and the offense started to show life with Amerdal in the middle, as Summers, Lai and Amerdal all had great scoring chances after the substitution. UTSA’s offense would prove to be too explosive Sunday afternoon, as the Roadrunners tacked on another goal to give them the eventual 3-0 win over the Blue Raiders. 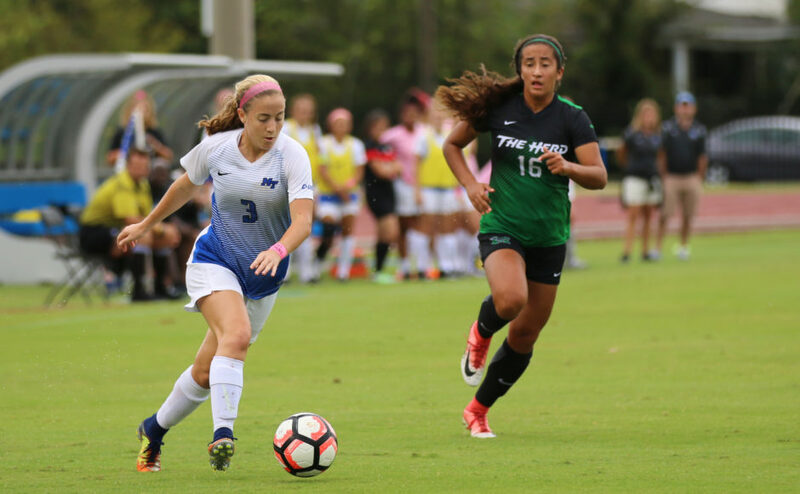 Middle Tennessee will continue to search for a win, with the Blue Raiders returning to action Friday in a road game against Louisiana Tech at 7 p.m. CT.
For more Blue Raider women’s soccer, follow us at www.mtsusidelines.com, on Facebook at MTSU Sidelines and on Twitter at @Sidelines_Sport.